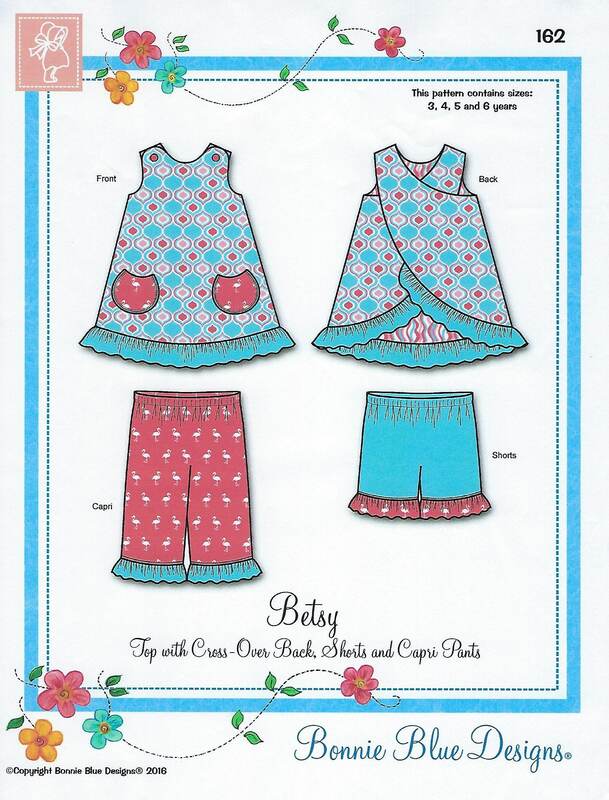 Package includes patterns and instructions to make Top with Cross-Over Back, Shorts and Capri Pants. Top has back wrap and buttons on the shoulders. Circle pockets included. Shorts and Capri Pants with ruffles. "Piping How To's" and 'How to Make Piping" instructions included. 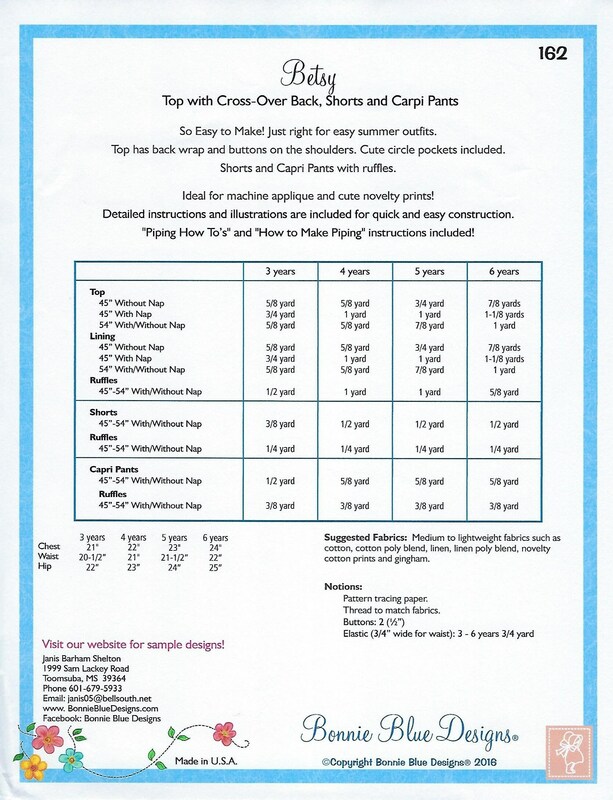 3 yr, 4 yr, 5 yr, 6 yr - All sizes included in one envelope.